It's June, so it must be summer and oh the choices of what to do! 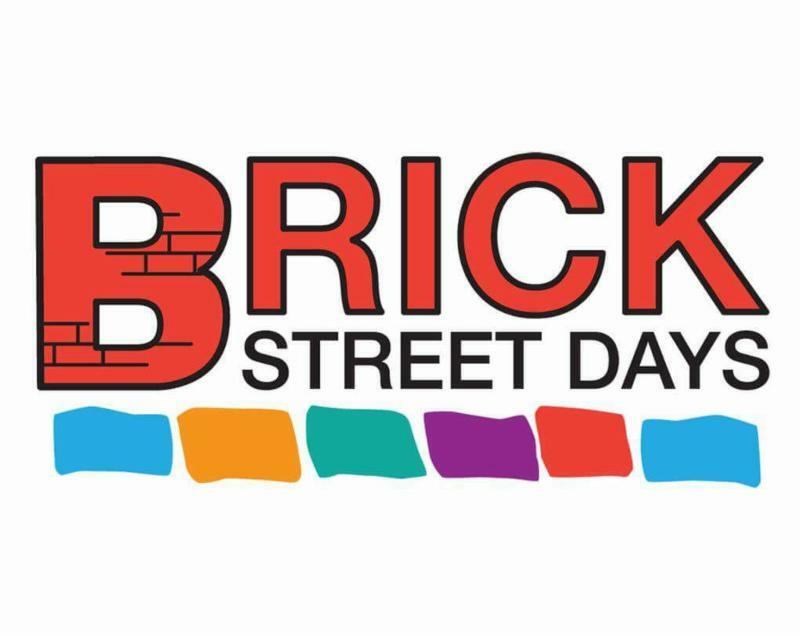 Come celebrate the arts, history, music and culture of Delavan at Brick Street Days! This annual event stems from the original weekend in 2015 when Walldog mural artists descended on Delavan and painted the first 18 murals depicting various aspects of Delavan's history. Three guided tours of the downtown Walldog murals will be offered on Saturday, as well as the unveiling of the next mural, which will be painted in September during Scarecrow Fest. 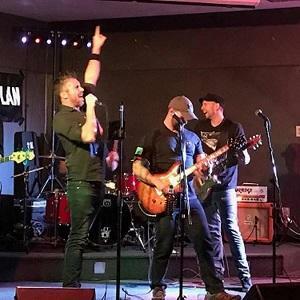 Brick Street Days will officially kick off on Friday night at the Phoenix Park Bandshell with the Old Time Radio Show at 7pm, featuring Orson Welles, aka the Kane Shadow. Saturday morning begins early at 9am with a flea market and craft vendors, followed by artists and art demonstrations, music, food, demonstrations by local businesses, kids activities, a silent auction, commemorative brick laying dedications, and much more. The Information Center will be open 10am - 5pm on Saturday only, located at 303 E. Walworth Avenue. could do such a crime. Silent Auction | 10am-4:30pm | Information Center, 303 E. Walworth Ave.
A Father’s Day tradition at Lake Lawn Resort’s Frontier Restaurant, the Ribfest Brunch offers a variety of perfectly grilled ribs, seasoned with rubs and sauces. Add the abundant salads, side dishes and accompaniments, and it’s a meal fit for a king and everybody’s special Dad. Lake Lawn Amber Beer will compliment this tasty meal. Each Dad’s brew will be served in a Lake Lawn Resort glass for him to keep. Reservations are recommended. For reservations, call the Frontier Restaurant at 262-725-9155. Credit card is required at time of reservation. Fathers play such an important part in all of our lives… they work hard and play hard… all for their family! 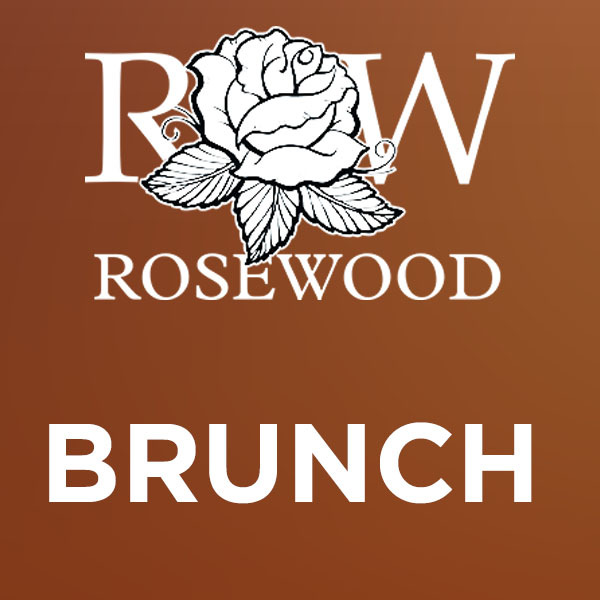 When we get the chance to recognize them for all the advice and guidance, it’s wonderful to have an elegant Father’s Day Brunch at Rosewood! Local historian and author, Frank Landi, will be leading a walking tour of buildings featured in his book: Historic Residential Architecture. We will depart from and return to the Library. Wear comfortable walking shoes and dress for the weather! 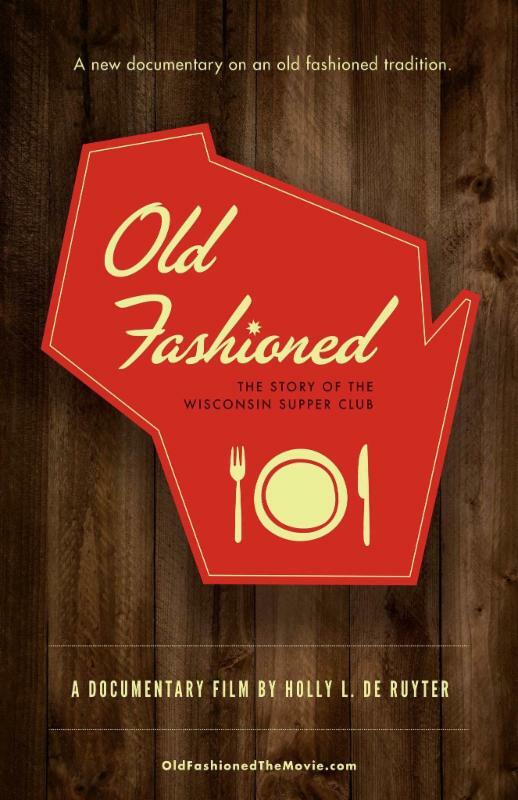 Enjoy a unique evening paying tribute to the Old Fashioned Wisconsin Supper Club. Supper club restaurants were the hot dining trend in the mid- twentieth century. They provided a place for people to spend their evenings enjoying cocktails, home-cooked, high-quality food and entertainment. Documentary filmmaker, Holly DeRuyter, hosts Lake Lawn Resort’s Supper Club experience. She presents her film, “ Old Fashioned: The Story of the Wisconsin Supper Club”, which takes you into this unique Wisconsin institution. Holly will be accompanied by Mary Bergin, author of Wisconsin Supper Club Cookbook. 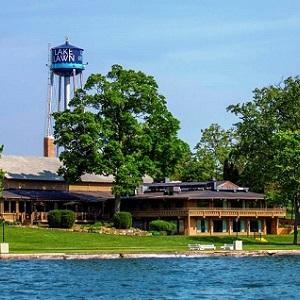 Lake Lawn Resort will present the ambiance and flavors of a true Wisconsin Supper Club, beginning with the signature Old Fashioned Cocktail, traditional relish trays, entrees and ice cream cocktails for dessert. The event will take place in the Lake Lawn Room. Doors open & cash bar begins at 6:30pm. The program begins 7pm, with dinner being served at 7:30 pm. The film then begins at 8:30 pm, followed by a Q&A session at 9:30 pm. Cost: $50.00/person, plus tax and gratuity. Price includes one Old Fashioned Cocktail, dinner, program and movie. Reservations can be made by calling the Frontier Restaurant at 262-725-9155. A credit card will be required at the time of reservation. 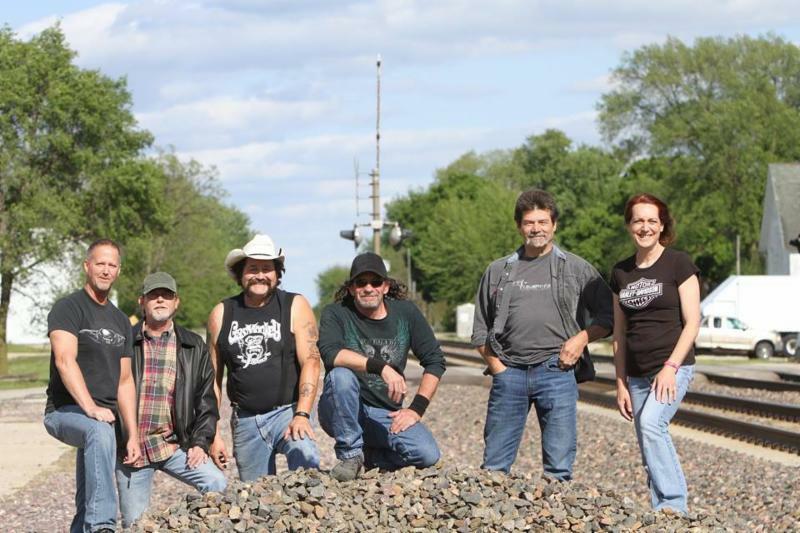 Twin Rivers Band plays a wide variety of of classic rock and country music. Artists include: Marshal Tucker, Charlie Daniels, John Prine, Eric Clapton, The Beatles, Hank Williams, to name a few. 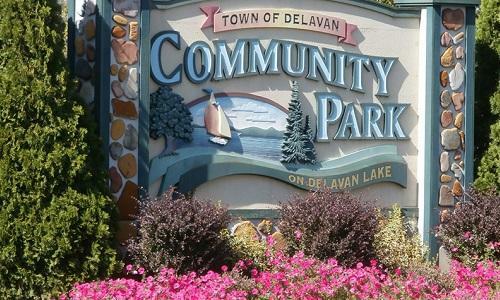 Come celebrate the start of the summer season with your neighbors, family, and friends at the 4th annual Delavan Summer LakeFest! Lots of fun activities for the little ones, delicious food and refreshing drinks! 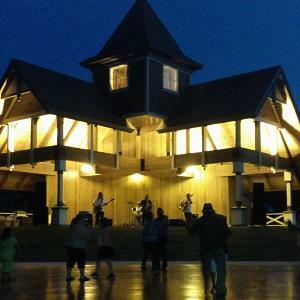 Dance the day away with live performances by local artists. Admission is free and beer, wine, soda and food will be available for purchase. Come enjoy a day by the lake. New to fishing or just need to brush up on your casting? 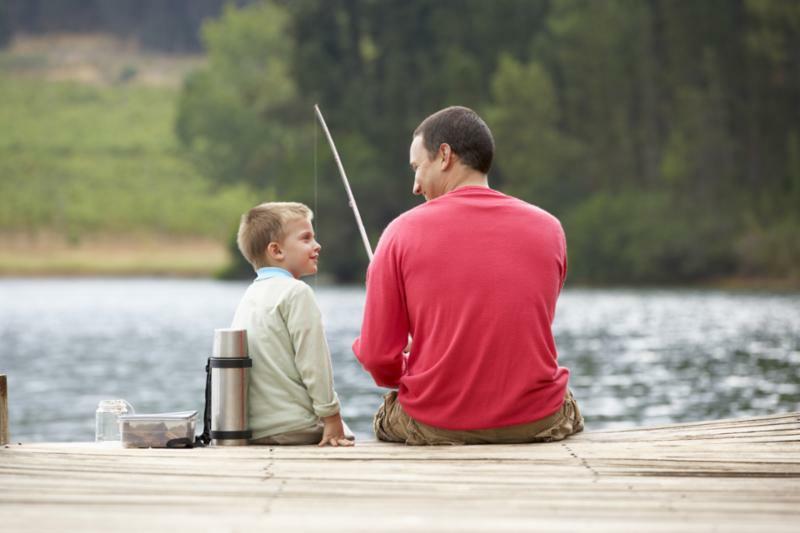 Attend one of the free fishing clinics being hosted around the state. 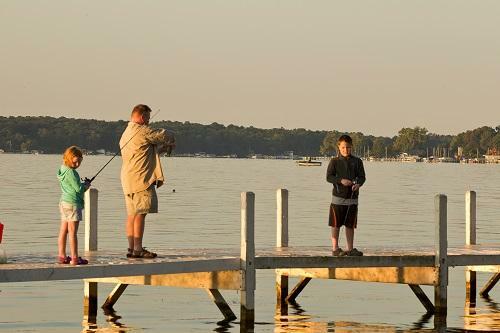 Free fishing equipment for loan at 50 state parks, DNR offices, and partner organizations. 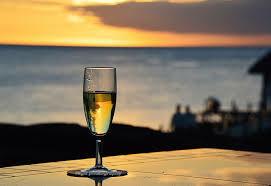 It's time to open a bottle and sample some wonderful wines & beers. Join us for June's tasting event, Hot Fun in the Summertime. We will be sampling a variety of 20+ Fine Wines, Craft Beers, and Spirits. Make sure to invite your friends and family to this wonderful tasting event you just can't miss. As always, this event is free of charge. 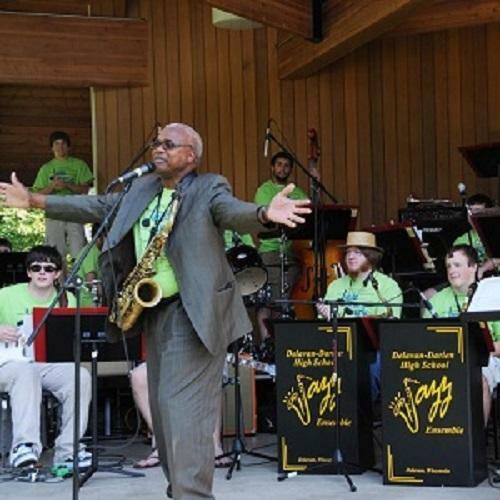 Performed annually, Jazz in the Park features numerous ensembles from both Delavan-Darien High School and Phoenix Middle School, including the High School’s Lydian Choir, Jazz Lab and Jazz Ensemble and the Phoenix Jazz Ensemble. Each year a prominent jazz artist is brought in for the weekend to work with these students and is featured as a guest artist during the performance event. 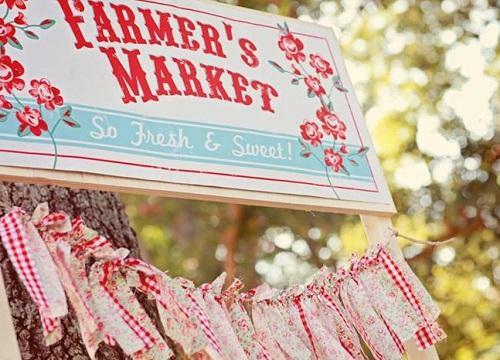 Boxed and Burlap will host a farmers' market every Friday in their barn, full of natural light and great atmosphere that will provide shelter from the elements while shopping local. 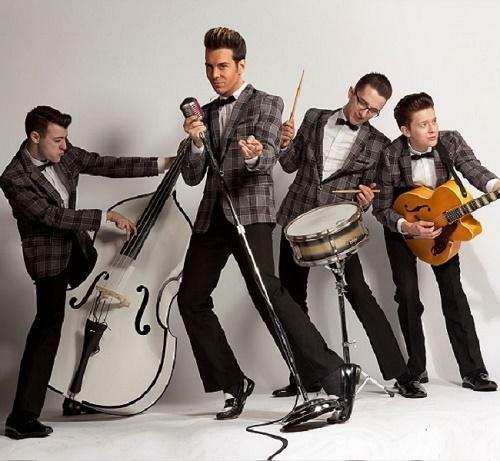 Celebrate the Belfry Music Theatre's opening weekend and enjoy an incredible show celebrating classic artists like Elvis Presley, Buddy Holly, Chuck Berry, and more. This show invites you to celebrate the birth of Rock and Roll like no other. 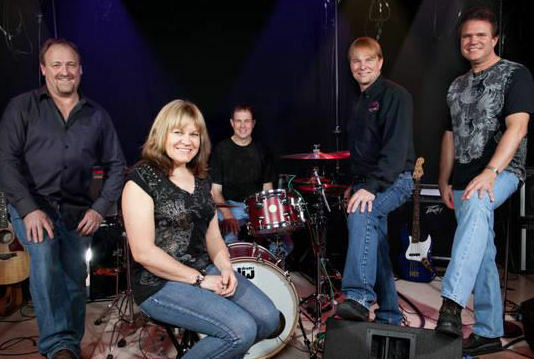 Performed by Lance Lipinksy and his band, this is one show you will not want to miss! 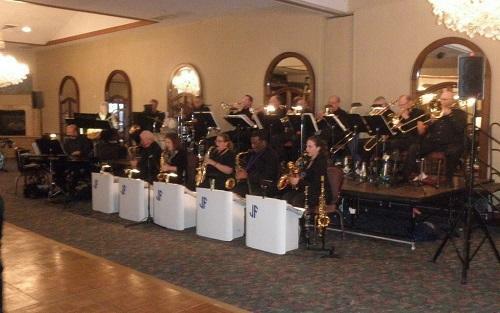 Enjoy the sounds of this 16-piece band, playing hits from the Big Band Era, along with Swing and Latin music. 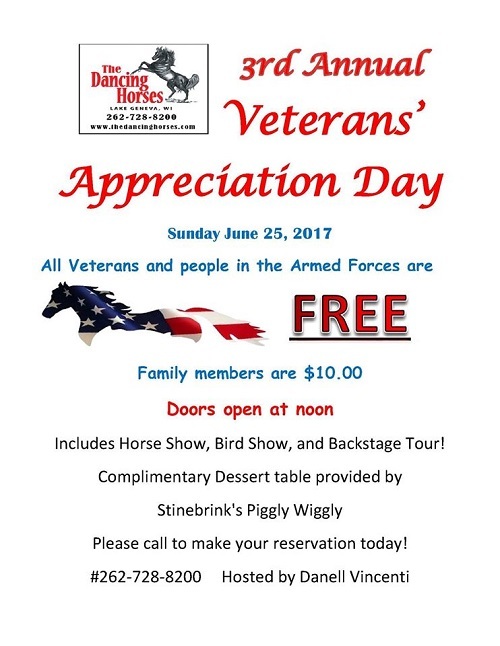 Dance away to the tribute to the Glenn Miller Orchestra and tap your toes to the Veterans Salute. Being very danceable music, come at 6pm and take a lesson in swing dance, then show off your new moves on the dance floor! 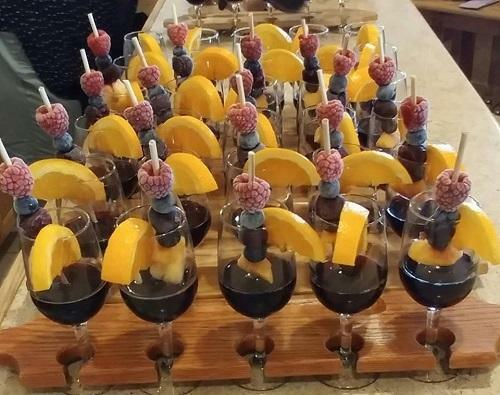 Enjoy cooking and grilling demonstrations, sangria blending demonstrations, and get recipes for the food and wine menu, for great summer entertaining you can recreate! Cost: $35/person, plus tax. Reservations are required. Beginning as a teenager, Gary McAdams has been the lead vocalist in several touring acts. Originally from Central Texas, but now based in Southern Wisconsin, he has performed in venues all across North America and the Caribbean. 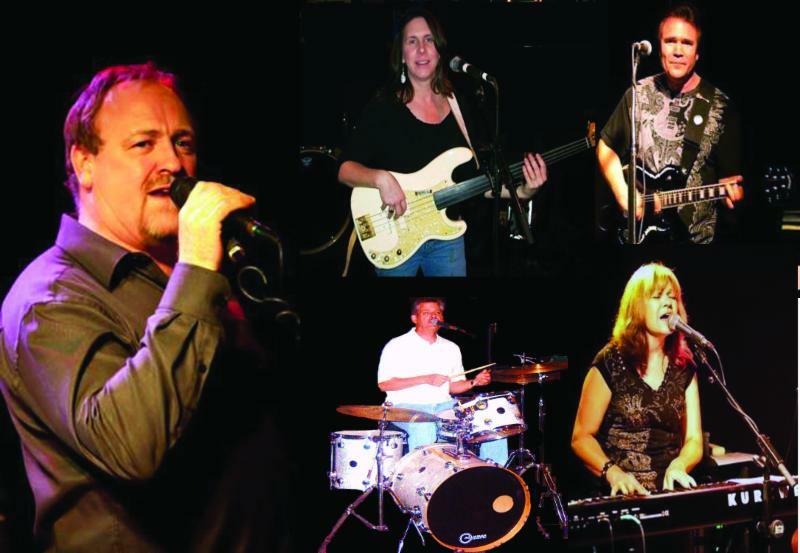 He currently keeps a full performance schedule as the lead male vocalist for "The Gary McAdams Band" and the "Rainbow Bridge Band". 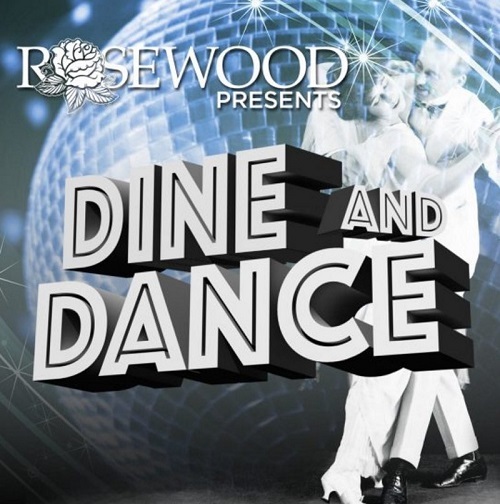 Rosewood Entertainment is bringing back the Supper Club with all the nostalgia, while adding some new twists and surprises! Be taken back to the 1981 reuniting of Paul Simon and Art Garfunkel for their famous Concert in Central Park. Attention is payed to every detail in this loving recreation, from the warm, blending harmonies to the crisp guitar work. No one brings back the timeless beauty of the original duo quite like Old Friends does. 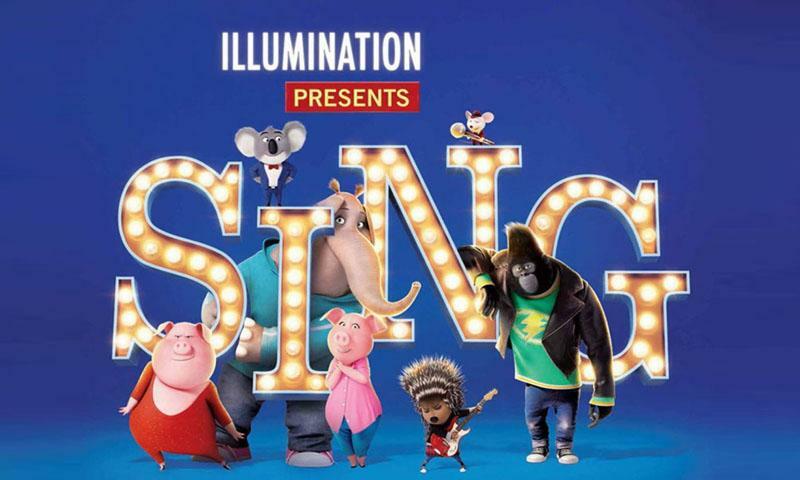 Songs are sure to please and include fan favorites: Mrs. Robinson, Homeward Bound, The Sounds of Silence, and much more. The Brothers Quinn is a 4-piece folk ensemble from southeastern Wisconsin. 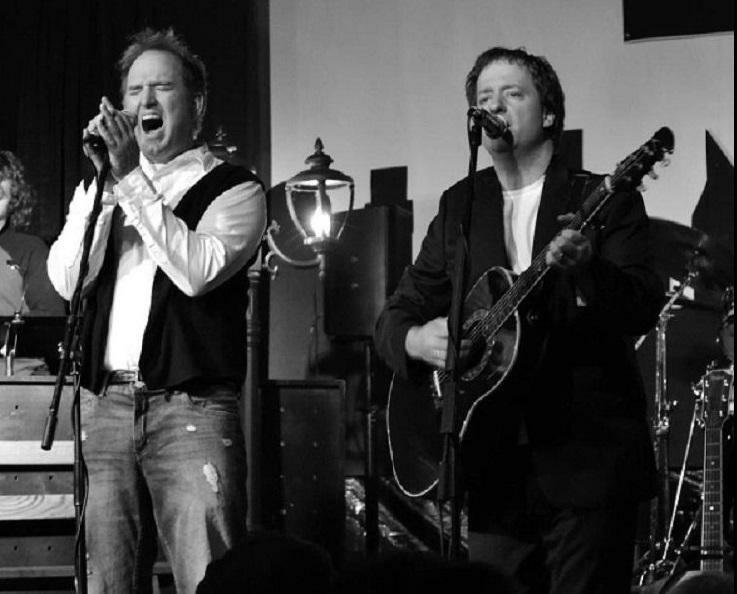 Fronted by WAMI award winning fiddle player Blaine McQuinn, the Brothers Quinn perform a variety of genres including Irish, bluegrass, classic country, and blues. Hearing songs from the Beatles or Radiohead however is not uncommon. 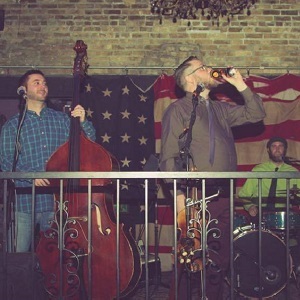 Blaine is joined by his brother Timothy on drums, washboard, and voice, Peyton Lencho on upright bass, and Brian Lucas on harmonica, guitar and voice. Dan Kimpel also joins the group on the guitar. Together, these boys bring a unique energy to familiar songs, and introduce to the audience new music by today's lesser-known artists. 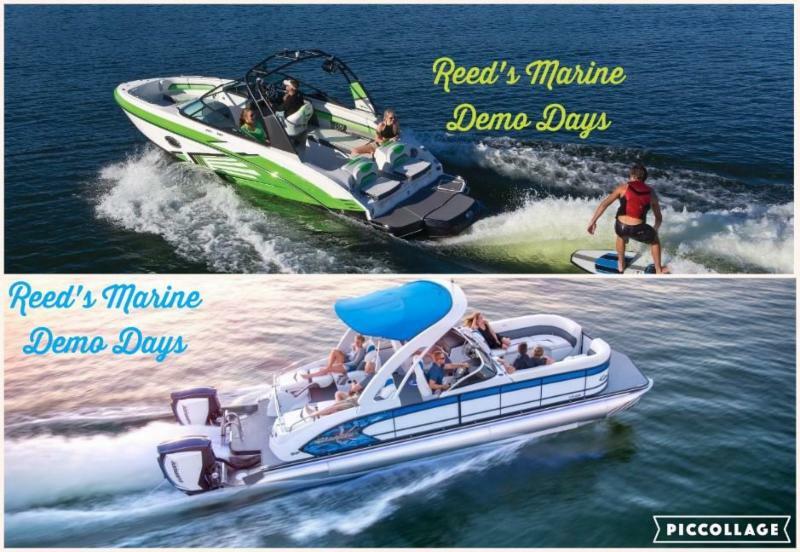 Come drive and ride the Vortex Boats and Manitou Pontoon Boats equipped with Evinrude Etec engines on Delavan Lake. Hosted by Reed's Marine at Lake Lawn Resort. The third event of the series will be a Two Person Best Ball. 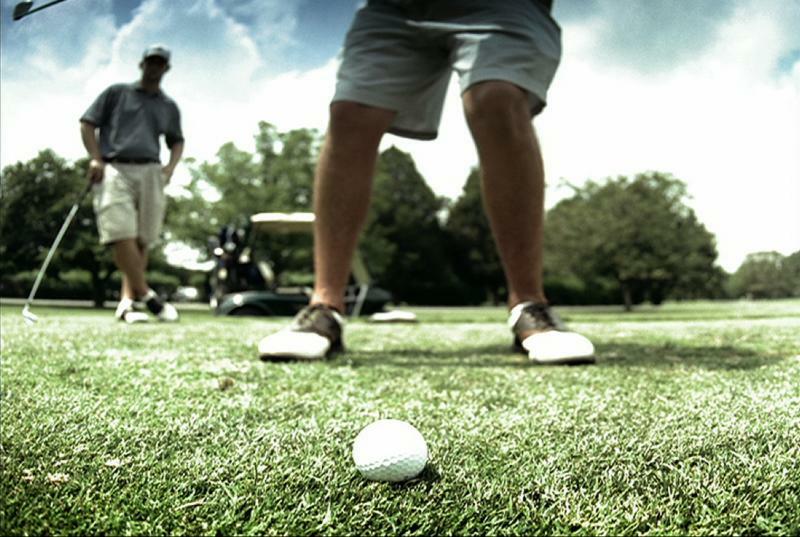 Pick your own partner, foursome and tee time before noon. It's not required that you've participated in the previous two events of the series. 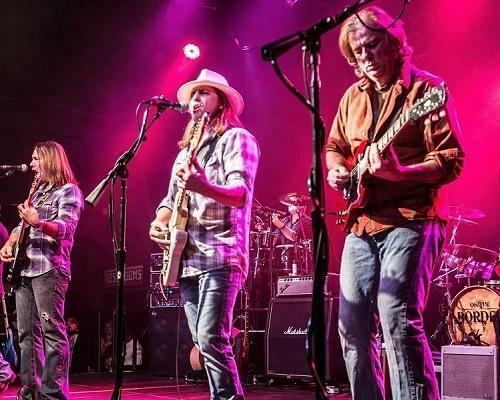 Award winning Southern Rock Band promoting their second CD release, titled 'Band of Brothers', and playing your favorite classic rock. For 40+ years, Rainbow Bridge has featured a repertoire of HUNDREDS of songs. Virtuoso lead guitar, world-class lead vocals and spine tingling harmonies all combine to create a unique performance experience. Six decades of popular and classic tunes. 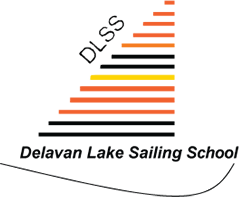 Classic & Top 40 Rock, Pop, Country, Oldies, R&B, Blues, Swing and a variety of other music. Head over for a free tasting of a variety of Off Kilter beers. 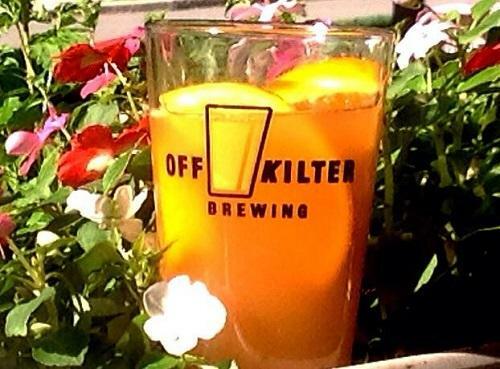 There will be free samples distributed by the Off Kilter models. Must be 21 years of age to enjoy a sample. 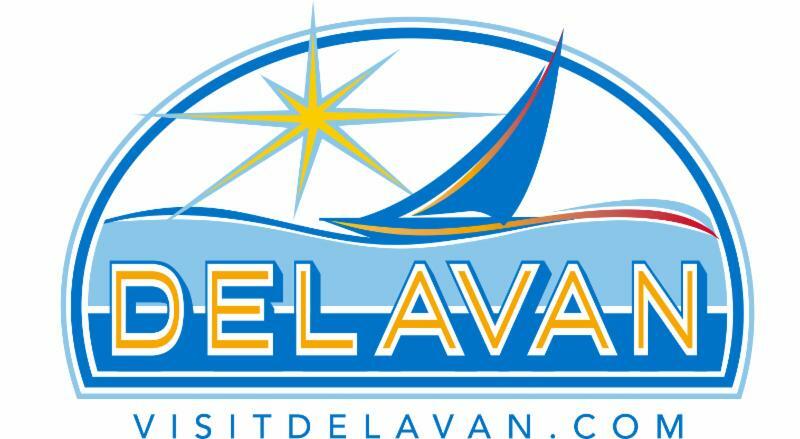 Enjoy the beauty of Delavan Lake as you learn to sail with friends and family. The Delavan Lake Sailing School will provide certified sailing instructors to teach you the joy of sailing. You will learn to set up a sailboat, sail on the beautiful lake, and return excited that you learned a new sport! All boat equipment is provided. Participants must provide own life jacket. Combine a delicious lunch with entertainment and you've got yourself a combination that can't be beat! Enjoy the made-to-order Pasta station, chef-attended carving station, hot and cold displays, followed up with a sweets table of assorted desserts and fresh baked pastries from Rosewood Bake Shop. 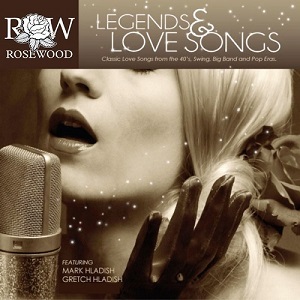 Take in the sounds of the LEGENDS and LOVE SONGS show as Mark, Gretch and Jo expand one of their most popular shows with guest artist, John “Ludy” Puleo, performing hits of Elvis, Diana Ross, Tom Jones, Barbara Streisand, Barry Manilow, Aretha Franklin, Roy Orbison, Patsy Cline, Frank Sinatra, and Celine Dion and more. Wisconsin DECA is excited to host their first golf outing to raise funds for Wisconsin DECA members. All profits from the golf outing will be awarded as travel scholarships to the 2018 International Career Development Conference in Atlanta, GA. Supporting Wisconsin DECA is an amazing way to demonstrate your belief in students well on their way to achieving career-focused goals. Enjoy great challenges on the fairway, take part of multiple raffles, bid on silent auction, and take part in friendly competition for a chance to win prizes. Registration includes a buffet lunch and dinner during the awards banquet. This will mark the 4th year of the AVERY STEP YOU TAKE 5K. 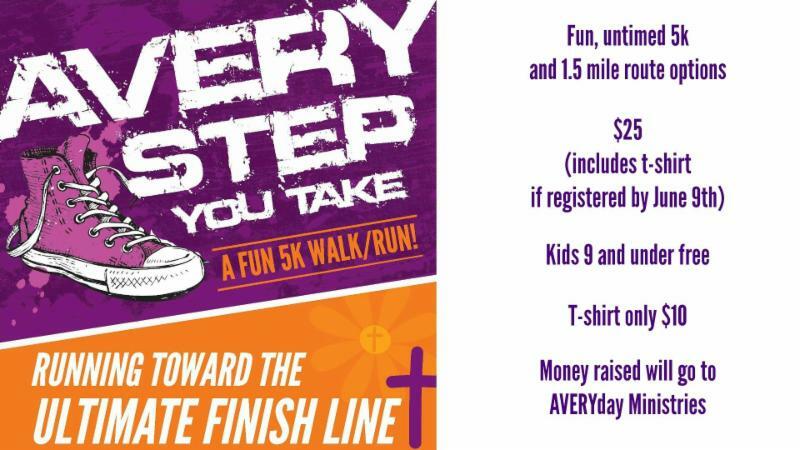 This fun run/walk supports AVERYday Ministries, founded in loving memory of Avery Johanna McCarthy, who tragically lost her life in a car accident just 19 days after she turned 11 years old. 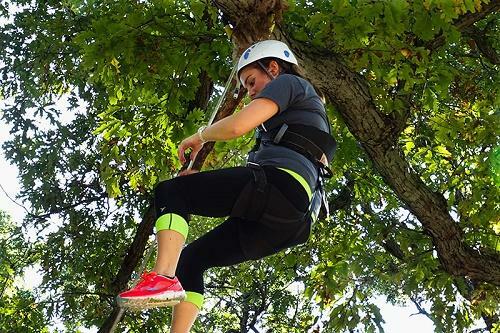 Avery's mission during her life on earth continues through AVERYday Ministries: supporting many programs she was involved in, financially supporting those desiring to go on mission trips to Haiti, and working toward raising funds to build a transitional home for girls 18-25 in Haiti. Fun, untimed 5k and 1.5 mile route options. $25 - includes t-shirt if registered by June 9th. Kids 9 & under free. John "LUDY" Puleo enjoys performing the hits of yesteryear. The great standards and torch songs once filling the airways and radios, sung by the likes of Frank Sinatra, Dean Martin & Bobby Darin. So sit back, relax and let LUDY take you back to a time when music and life were just a touch slower paced and savored! 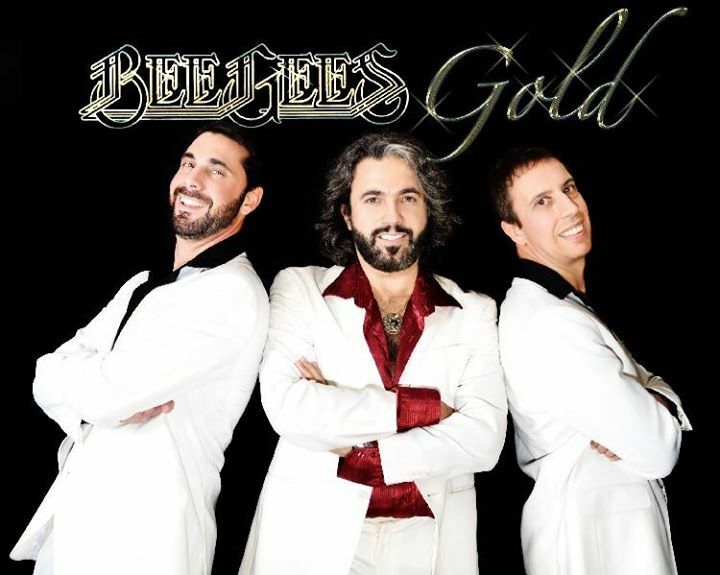 Step back into the days of disco and experience seeing the Bee Gees in their prime, with John Acosta playing a picture-perfect Barry Gibb. From the look to the falsetto you will close your eyes and say its Barry! Performances range from the early hits, all the way to the disco classics like “Stayin’ Alive”. 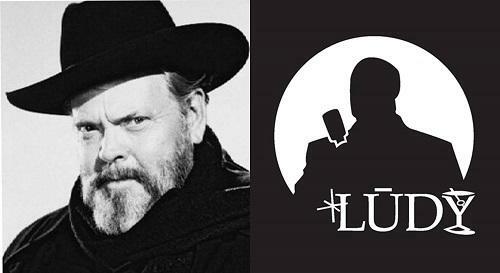 Follow along as Orson Welles, aka the Kane Shadow, visits Delavan, Wisconsin, and is approached by a distressed and beautiful woman, who desperately needs his help to solve a murder...hers! Welles wanders the streets and shops of Delavan looking for clues as to who could do such a crime. 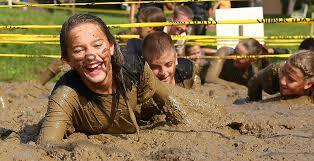 Join in for an exciting adventure run in the mud for kids. The course will be a little over a mile long with various obstacles along the way. Come test your endurance and dress to get dirty. The race will start in Terrace Park across the street from the Mill Pond and run through Lower Springs Park and the Sledding Hill. All participants will receive a t-shirt. Guess who's back at the Turtle?! Come on out to see! Come on…admit it, you love those Time-Life infomercials with the soft rock sounds from the 70’s and early 80’s. These are the songs you secretly sing along with at the grocery store and crank up in your rented convertible while cruising the PCH. It’s time to release yourself of those daily pressures and join The Windbreakers while you Drift Away down memory lane. Splash on that Old Spice, grab a Pina Colada and come Sailing into the experience of a lifetime. The band takes to the high seas with Captain Anton Neil (sax/vocals) at the helm of your yacht rock experience. Joining him on deck are Christopher Craft (guitar/vocals), Kenny Lager (bass/vocals) and powering the ship is Mr. Harvey Willbangher (drums). The Windbreakers promise you’ll be saying Baby Come Back when you awake onboard the next morning thinking Oh, What A Night! 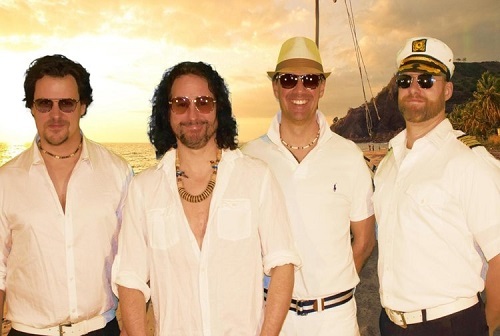 The Windbreakers Ultimate Yacht Rock Experience: Sailing the smooth waves of soft rock! All Veterans and people in the Armed Forces are FREE. Includes Horse Show, Bird Show, and Backstage Tour! Complimentary dessert table provided by Stinebrink's Piggly Wiggly. Please call to make your reservation today! Dance to the sounds of Tejano music! This weekend you can Take it Easy and enjoy that Peaceful Easy Feeling of music - don't wait anymore as you might find the remaining tickets will be Already Gone for One of These Nights. So Take It (your weekend) to the Limit and get your tickets now. Lake Lawn will be offering a $50 gift card to one winner in each category for a Star Wars Costume Contest - 12 and under, 13 and up. Join Lake Lawn Resort as we participate in Restaurant week. Help us welcome summer with 10 days of delicious dining in the Lake Geneva Area. Our overnight package includes accommodations for one night, Prix Fixe Dinner in our Frontier Restaurant, and a $50 resort credit to be used as you wish during your stay. Available for arrivals between Friday, June 2 and Sunday, June 11, 2017. Two night minimum and $70 surcharge for Friday & Saturday nights. Based on availability. Blackout dates, restrictions, or minimum night stays may apply. Cannot be combined with any other offer or promotion. Pricing is based on the number of persons on the package. 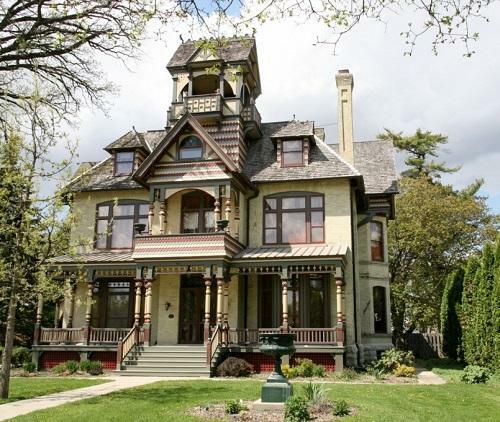 Listed price is based on Double Occupancy in Lakewood or Lodges King Room. Any remaining portion of the $50 credit will be forfeited upon check-out.